Low-lying, so it is possible to walk the Great Glen Way at most times of year. Accommodation is often busy in summer, and midges are out! Daylight is short in winter and less accommodation is available. The Great Glen Way is a 5-6 day low-level waymarked National Trail, with a range of facilities along the way. An ideal introduction to long-distance walking. 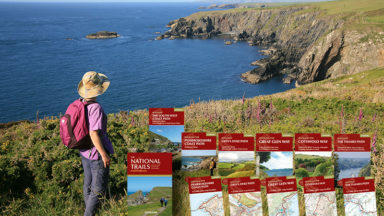 Leading guidebook publisher Cicerone are launching their new guides to Britain's national trails in March, and the big news is that for the first time they will be including a free map booklet for the whole route (1:25k OS mapping) with each of the guides, negating the need to buy a separate map/so the map booklets will also be available separately. The Great Glen Way route in this guidebook is described both ways, and as ever the information provided by Cicerone is clear, concise and, above all, dependable. Overall this is an excellent guidebook in itself, but including the mapping in the package is a huge bonus. I am currently planning to walk the Great Glen Way in May this year so was delighted to be offered the opportunity to review this book. The book is extremely well presented. It is a paperback book with a strong and durable, removable PVC protective cover. Pushed into the inside of the rear cover is a separate booklet containing the series of route-maps from start to finish. The Great Glen Way follows the route of the Caledonian Canal from Fort William to Inverness, a distance of 79 miles and the walk usually spread over a week. Before tackling such a route, particularly such a popular route, it is wise to do some advance planning to ensure accommodation is booked for overnight stops. This book makes it all easy with all such information immediately to hand: it is conveniently divided into sections which can be covered in a day and includes accommodation, ie hotels, B&Bs and campsites for each night along with details of baggage transfer companies for those to prefer not to carry their own heavy luggage or backpacks. The book opens with a simplified map showing the route between Fort William to Inverness, giving an easy overview of the usual route but also some alternative 'high level or 'low level' routes, such as at Invergarry where the route could either head inland (hilly) or follow the (flatter) banks of Loch Oich, depending on the preference of the walker/s. Very usefully, for those of us less keen on hills there is a diagrammatic representation of the hills and where they occur so there will be no unwelcome surprises once en route. A further table shows the distances between the daily starting and finishing points with an average walk distance of about 18 to 20 miles per day (distances are also given in km). The book is packed with lots of useful and interesting information about the area including its history, geology, animals and plants - and even the Loch Ness Monster! It is well written and especially well presented with clear maps within both the book itself and then supplemented further by the supplementary maps within the map booklet. I am already familiar with a few sections of the route and can vouch for the book being accurate and well researched. It includes a good mix of very clear directions combined with local information about the areas being passed through together with attractive photography making it very easy to plan my route and develop my enthusiasm by being attracted by the photographs. This book is definitely making me look forward to my trip. On a practical note for walkers who will be very conscious of space and weights, the book is easy to carry measuring 17.5x12x1.8cm and weighing 190g and the space it takes up is a very good use of this space! It is easy to slip in a pocket or into a backpack and with its protective cover it will withstand the inevitable rough treatment it will endure on a walking trip and also will not be damaged by the rain it is also likely to encounter en-route. A very well written and researched book which helps greatly with advance planning and directions leaving you to enjoy the preparation and the walk itself. 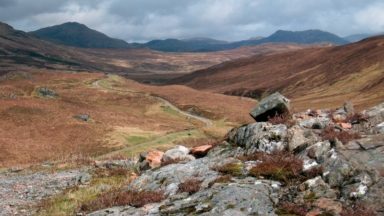 We first reviewed "The Great Glen Way: Fort William to Inverness" by Paddy Dillon back in 2007, and came to the conclusion that it was "an attractive, eminently readable, and very useful guide." With the publication of the 2016 edition that conclusion holds true, only more so. It has been extensively re-written and updated, and is rather thicker, and benefits from Cicerone's brighter modern design. Most importantly, however, it benefits from the addition of a separate 44 page 1:25,000 route map booklet which contains all the Ordnance Survey maps you need to complete the Great Glen Way, in a highly convenient format. The changes are more than enough to justify a recommendation that the Second Edition is a thoroughly worthwhile purchase, even for owners of the earlier edition. 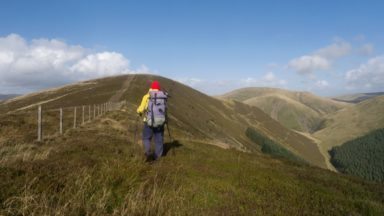 I normally prefer to use OS Landranger sheets and plan my own routes, and preparing for my recent walk along the Great Glen Way was no different. However, after reading Paddy Dillon's Walking The Great Glen Way I would recommend this book to anyone planning to do this walk. 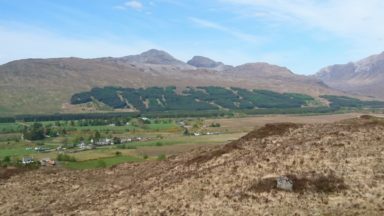 The guide covers the entire 75-mile route between Fort William and Inverness and, while most folk will walk from south to north, the route is helpfully described in the opposite direction as well. There is a very useful route summary near the start of the book, with distances described in kilometres and miles together with the ascent on each part of the walk. 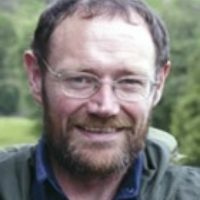 Paddy has also included an excellent introduction to the book with very useful advice including when to do the walk, planning an itinerary, accommodation and the Scottish Outdoor Access Code. I particularly enjoyed the historical snippets throughout the book as well as tips on what to look out for by way of animal and plant life. The map booklet that accompanies the book meant I didn't have to pack my OS sheets, and also covers the high level route between Fort Augustus and Drumnadrochit. 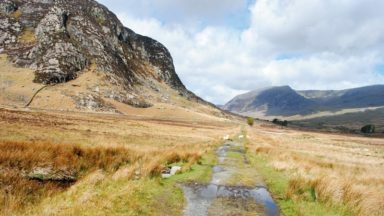 The appendices are also handy and the list of hotels, B&Bs and campsites is an important inclusion given that accommodation is trickier to arrange than, say, for the West Highland Way. 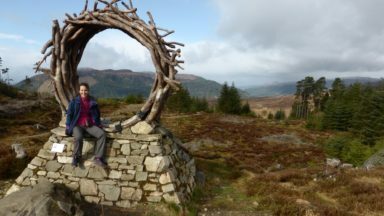 The Great Glen Way is a fantastic walk I would thoroughly recommend to anyone. The Great Glen Way may be shorter, and certainly easier, than the West Highland Way, but the scenery is in my view every bit as good and this guidebook will enhance your enjoyment, even if you only ever walk the Way from the comfort of your armchair!